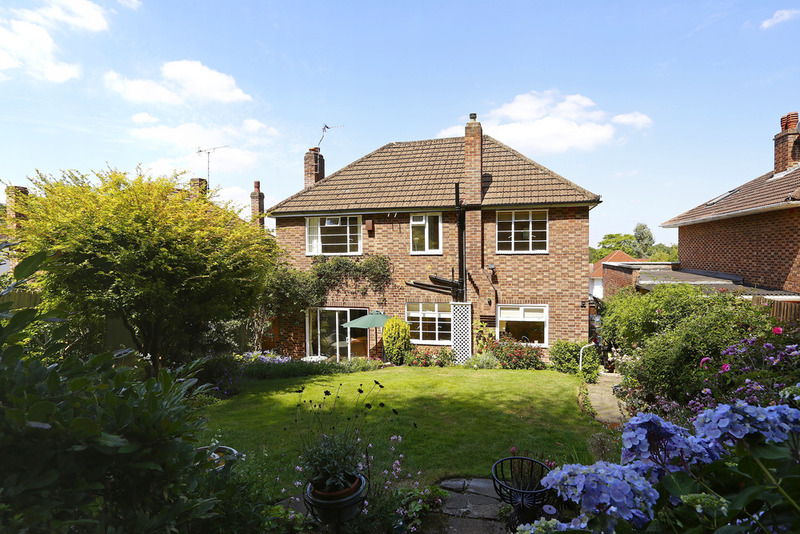 We are delighted to be able to offer this bright, detached, 4 bedroom family home, situated in an elevated position with far reaching views within this highly desirable road. 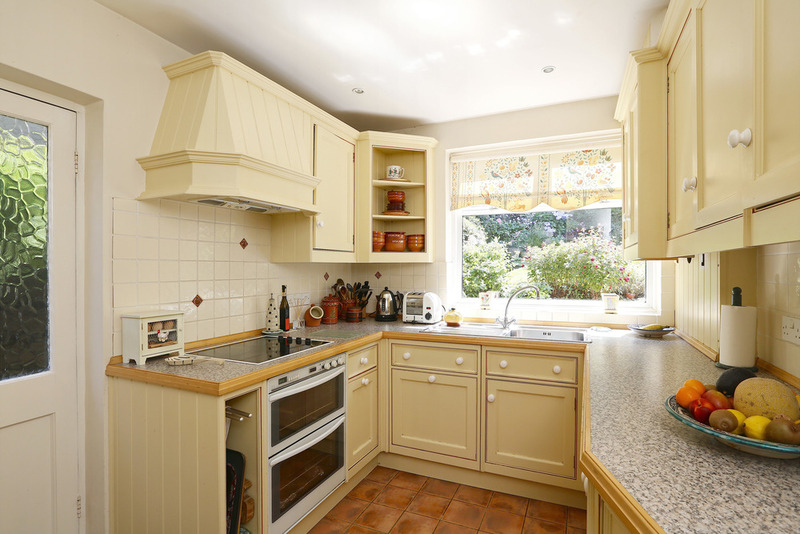 The property offers spacious accommodation and further comprises 3 reception rooms, kitchen, dining room and garage. First time on the market since 1976, this bright delightful detached family house situated in an elevated position within this highly desirable road commanding far reaching views is being offered for sale. The property which was built circa 1953 offers spacious accommodation arranged over two floors with further potential to the discerning purchaser to customise the house to suit their own living requirements. 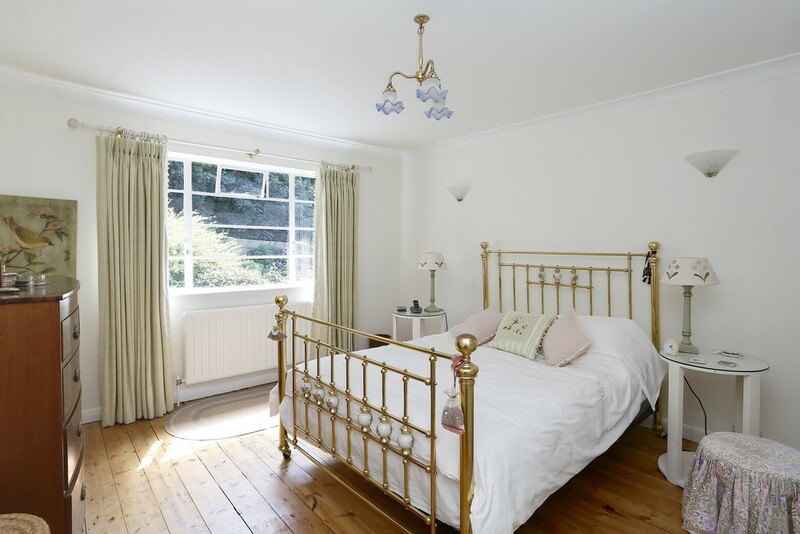 The property offers four spacious bedrooms and three reception rooms with a separate dining room and kitchen. The rear tiered garden overlooks the wooded grounds of Kingston University. Kingston Vale is a highly regarded residential area with tree lined roads and has a pleasant community spirit conveniently located close to Kingston town centre with its excellent shopping facilities, with the nearby A3 trunk road offering fast access to Central London and both Gatwick and Heathrow airports via the M25 motorway network. Train stations at Norbiton and Putney provide frequent services to Waterloo with its underground links to points throughout the City. The immediate area offers a wide range of recreational facilities including three golf courses, tennis and squash clubs. Richmond Park, within a few minutes’ walking distance, is an area of outstanding beauty and provides a picturesque setting in which to picnic, go horse riding, jogging or just take a leisurely walk. Theatres at Richmond and Wimbledon are also popular alternatives to the West End together with an excellent choice of restaurants. There are also numerous public, state and international schools in the vicinity including a well respected primary school at its heart. The property is approached via steps leading up to the front door past landscaped gardens which are elevated from the street level. Entrance Hall Under stairs cloaks cupboard with a door leading to the study. Wood strip flooring, encased radiator, coving, solid front door with glazed side panels, 2.59m ceiling height. Guest Cloakroom Suite comprising low level WC, wall mounted wash hand basin with tiled splash back, radiator panel, vinyl flooring. Double Reception Room Double aspect with views to the front and rear garden with sliding doors to the rear terrace. Pine fireplace surround with marble surround and base with a gas coal effect, coving, two large double radiators. The wonderful room has amazing views across Kingston Vale. Further windows to the side of the house. Dining Room Views overlooking the rear garden, encased radiator panel, wood strip flooring, coving. Kitchen A wide range of hand painted wall and base units with a granite effect laminate work surface with wood edge with a recessed stainless steel single bowl sink with drainer and mixer tap. The integrated range of appliances comprise of a double STOVES oven four ring halogen hob with extractor fan above, BOSCH dishwasher, counter top fridge, washing machine. Door to the side access, further built in wall and base units. Potterton Suprima wall mounted gas fired boiler within one of the wall mounted cupboards. Ceramic tiled floor and splash back. Study This room is approached via wooden steps leading downwards thus offering a higher ceiling height than the rest of the ground floor with a large picture window facing the front garden. Pine floor boards, recessed low voltage lighting, radiator panel. 3.36m ceiling height. Access to boarded insulated loft with drop down ladder. Amazing elevated views to the front garden and beyond, door to eaves storage cupboard, single radiator panel. Bedroom One Views to the rear garden, one wall of bespoke built in floor to ceiling cupboards, pine floor boards, coving, radiator panel, wall light points. Bedroom Two Views to the front garden, coving, recessed low voltage lighting radiator panel, pine floor boards. Bedroom Three Views to the rear garden, pine floor boards, built in floor to ceiling cupboards, coving, radiator panel. Bedroom Four Views to the side of the house, double radiator panel, door to eaves storage cupboard. Family Bathroom White suite comprising panelled panelled bath with mixer taps and separate overhead shower with bi folding glazed doors, pedestal wash hand basin, low level WC, heated towel rail, Amtico tiled floor, tiled wall surround to the bath, half tiled wall elsewhere, shavers socket. Rear Garden Approx. 63’ x 39’4” (19.2m x 12m) There is a crazy paved terrace across the full rear width of the garden flanked by an elevated stone faced wall with a crazy paved path leading towards the rear part of the garden which is mainly laid to lawn however, bordered by seasonal perennial plants which leaves the garden in full colour all year round. There is access to the front garden from both sides. Garage Approx. 17’10” x 9’ (5.45 x 2.75m) With an up and over door. NOTE: No warranty is given concerning this property, its fittings, equipment or appliances as they have not been tested by the Vendors Sole Agents. Measurements are approximate and no responsibility is taken for any error, or mis-statement in these particulars which do not constitute an offer or contract. No representation or warranty whatever is made or given either during negotiations, in particular or elsewhere.